This little box is the perfect size to wrap up that wonderful small treasure, to hang on a tree, or even to use as part of your table setting. You won't be able to stop at making just one! 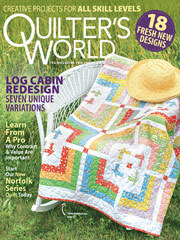 This e-pattern was originally published in Sew Special Fat Quarter Gifts.